This is Hector, the main protagonist from Castlevania: Curse of Darkness, a relative unusual part of the series in which a Belmont clan member gets beaten (Trevor Belmont) and Hector, a “Innocent Devil” Forge-master and former servant of Dracula has to take the role of the Vampire Hunter. While the most Castlevania Heroes are relying on their weapons like the epic Whips or Swords like Alucard, Hector himself is relative weak in the game. His unique strengths are the so called Innocent Devils which he can forge/summon. 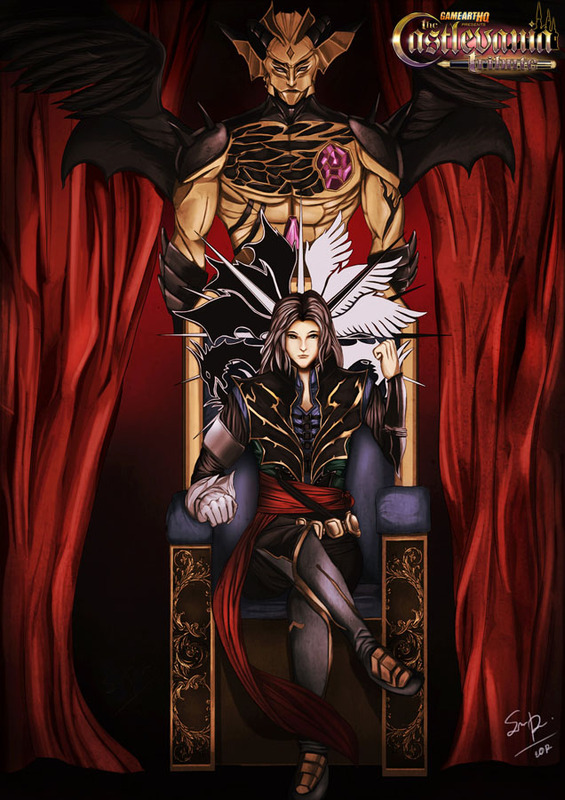 This portray of Hector was drawn by Sarayu Ruangvesh from Thailand and one of the first submitted entries for our Castlevania Art Tribute and the first participation of Sarayu in a Game-Art-HQ art jam. If you like the style and colors of this artwork, be sure to visit his gallery at deviantart where he uploaded some nice Resident Evil fanart pieces among many others!